The full course is 56 minutes long and available in a number of affordable formats. 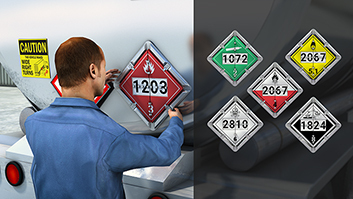 Shippers must properly classify hazardous materials so that packaging, marking, labeling, and placarding requirements can be met. Shippers of hazardous materials are required to prepare shipping papers in accordance with all applicable regulations before offering the materials for shipment. 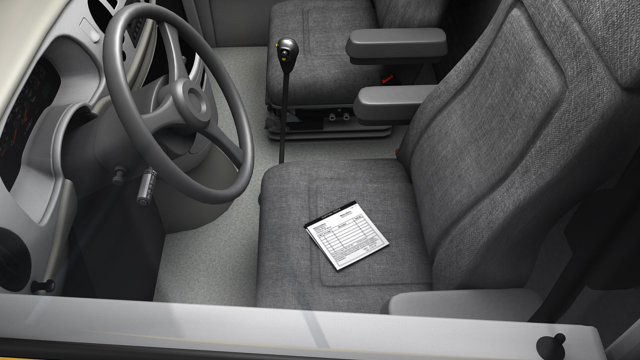 When the driver is not in a transport vehicle, shipping papers must be placed on the driver's seat or in a holder mounted inside the driver's door. 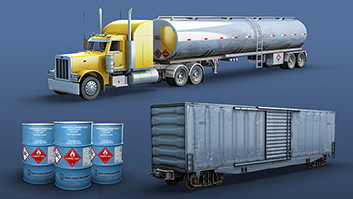 Shippers of hazardous materials - including hazardous wastes, hazardous substances, and marine pollutants - must prepare and certify shipping papers before offering these materials for commercial transportation to, from, or within the U.S. 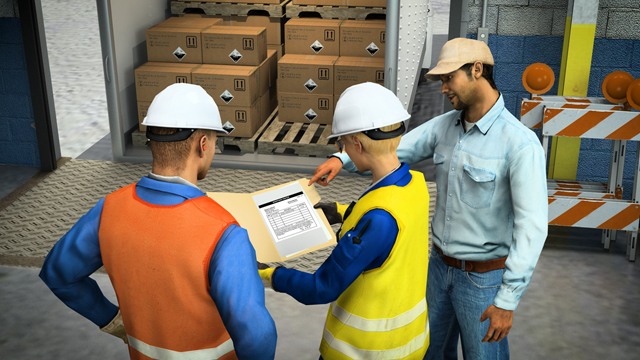 Shipping papers identify and classify the hazardous materials being shipped, and notify shippers and carriers of their hazards. They help define the protective measures necessary to protect employees, the public, and the environment, and can provide critical information to emergency response personnel. How can I determine if the material I am shipping requires shipping papers? 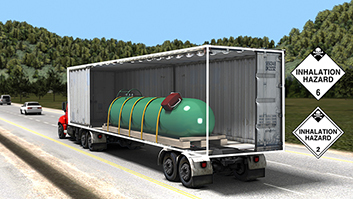 If the material being shipped is a hazardous material, hazardous substance, hazardous waste, or marine pollutant (as defined in the HMR), and does not qualify for an exception, it is subject to the HMR and shipping papers must be prepared if it is transported commercially. 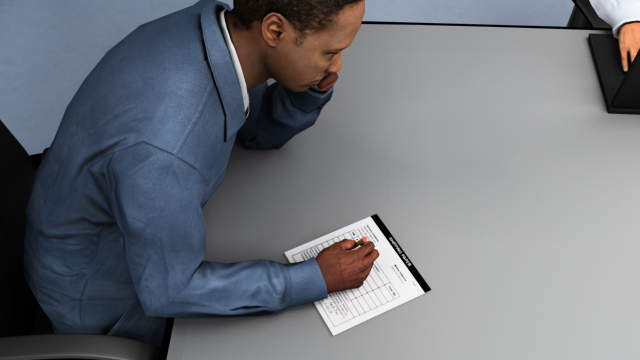 Who is required to prepare the shipping papers for hazardous materials shipments? 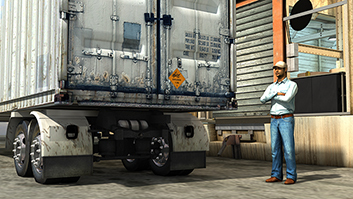 Shippers are required to correctly prepare and certify shipping papers before offering hazardous materials for commercial transportation. Are shippers and carriers required to keep copies of shipping papers after hazardous materials have been delivered? Yes. Shippers must maintain copies of shipping papers for two years after initial acceptance, while carriers must keep copies for one year. Hazardous waste manifests must be retained by both shippers and carriers for three years. What are the requirements for the Emergency Response Telephone Number that is included on hazmat shipping papers? Someone must be available to answer this number at all times while the material is in transit. This person must be knowledgeable about the material and be able to assist emergency responders in case of an incident, or have access to someone who can. If I am shipping hazardous materials and non-hazardous materials in the same shipment, can I use one set of shipping papers? 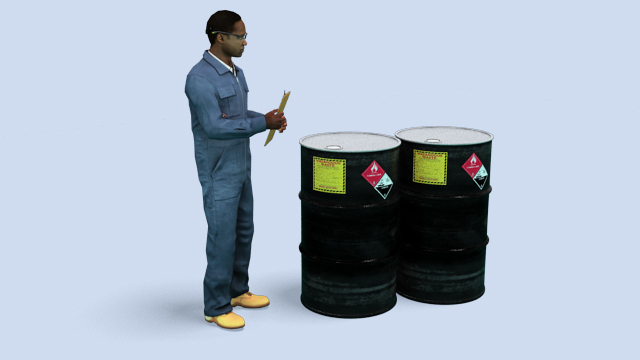 Yes, but you must identify the hazardous materials in one or more of the following ways: listed first, highlighted, entered in a contrasting color, or identified with the letter "X" (or "RQ," if appropriate) in the column captioned "HM." Shipping papers must include a 24-hour emergency response telephone number for any hazardous materials being shipped. Someone must be available to answer this telephone number at all times while the hazardous material is in transit, including any associated storage time. 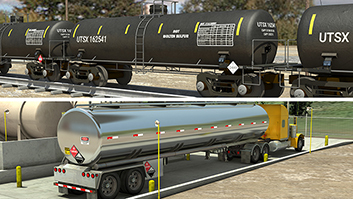 This person must be knowledgeable about the material being shipped and be able to assist emergency responders in case of an incident, or have access to someone with this knowledge and information. If separate emergency numbers are needed for different materials listed on the same shipping papers, each number must be written after its applicable description. If only one number is needed, it must be easily located and clearly visible. Telephone numbers outside the U.S. must include an international access code, plus any applicable country and city codes.